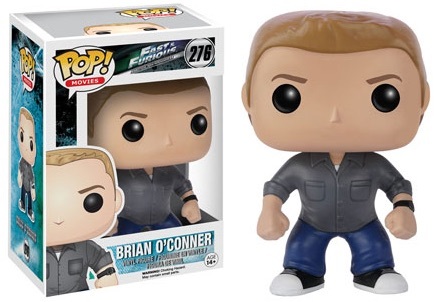 Honoring the long-running franchise, the initial group of Funko Pop Fast & Furious vinyl figures is fairly small but packed with star power. 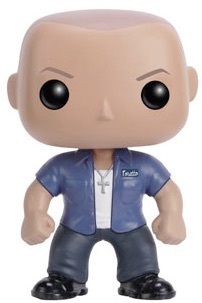 Featuring three figures, series staples Vin Diesel as Dom Toretto and Paul Walker as Brian O'Conner are joined by a more recent addition with Dwayne Johnson as Luke Hobbs. 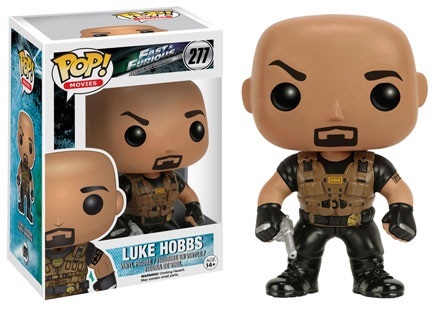 While Toretto and O'Conner were both in the original film, Hobbs did not debut until Fast Five (2011). The car race-themed series kicked off in 2001 with The Fast and the Furious and has spawned several sequels and spin-offs. The newest film, Fast 8, is slated for a 2017 release. View all the DVD and Blu-Ray options on Amazon. 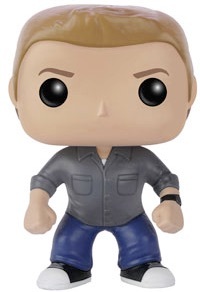 The figures measure approximately 3 3/4" tall and are numbered as part of the Pop! Movies line. 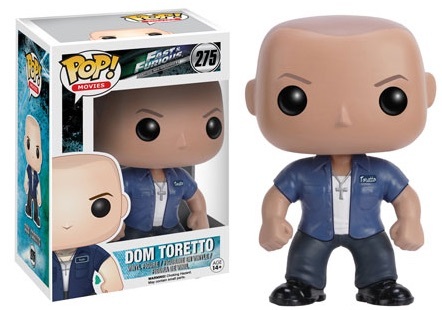 There is also a 1970 Charger, including the figure for Dom, that is part of the Pop! Rides vehicles collection.